SEMrush is one of the best search engine marketing (SEM) toolkit to find your competitors' keywords. This is like the holy grail for keyword research. Have you been looking for an SEO tool which lets you do keyword research, track keyword ranking, check backlinks, check competitor ranks, and most importantly, do a complete SEO audit of your blog? If yes, then let me introduce you to one tool which I have personally been using for over 3 years and is trusted by many professional bloggers and SEO agencies. The tool I’m talking about is SEMrush. I will answer this question in my review, but before that, let me give you some details about my SEMrush experience. When ShoutMeLoud got hit by Google Panda, I had to completely change the way I was blogging. I realized that instead of just writing content that readers loved, I had to make sure my content was also loved by search engines! This is when I started learning more and more about search engine optimization and link building (which is still an ongoing process). I managed to recover ShoutMeLoud from Panda, and in the process, I learned the importance of focusing on content quality to improve my blog’s SEO. I needed to ask myself what I had done that might have caused Google Panda to hit my site so hard. The answer was right there on my analytics stats board. Apart from thin content, I had ignored the importance of keyword research. I quickly learned that having quality content was not enough! I also needed to build quality links, do timely audits of my site’s SEO, and pay attention to a few other important factors. I tried using many tools in the process (including Mangools, Ahrefs, SEMrush, and a few more). While all of them worked well, I liked SEMrush the best because of its great features and how it allowed me to get all of my SEO work done in one place. In just one dashboard, I can get everything done. I will show you what I mean in a moment. Before I move ahead with my SEMrush review, it is important to let you know that my knowledge of SEO is self-taught through the use of trial and error and from paying attention to the latest SEO industry updates. Note: If you browse the SEO category of ShoutMeLoud, you can find the latest information from the SEO industry. Why should you start using the SEMrush tool right away? Let’s explore what makes SEMrush such an amazing SEO tool and a favorite among millions of users. 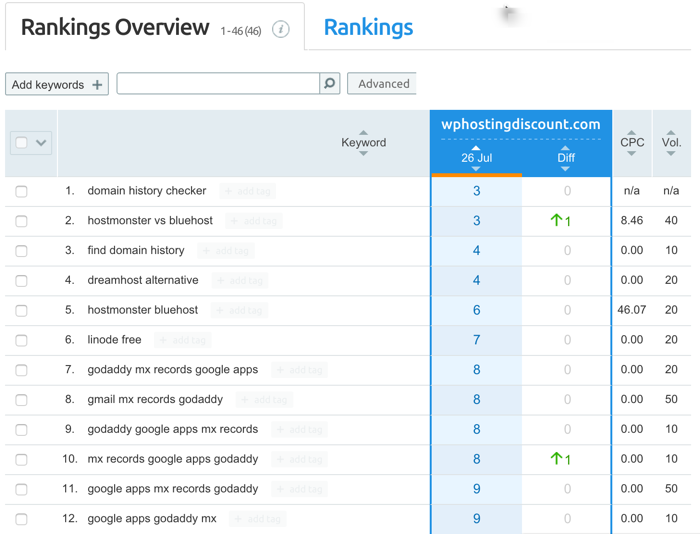 SEMrush makes it really easy to find what keyword your site (or any other site) is ranking for. In short, it makes keyword research a piece of cake. 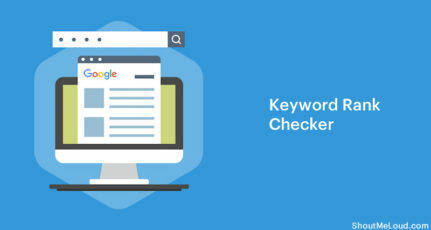 Once you are done doing your keyword research, you can add in keywords and track their positions in all major search engines based on geographical location. I emphasize the geographical location feature as it’s important for those who target specific countries like Spain, the U.K, Australia, India, the U.S., etc. For a global blogger, you can also use this feature to see how your site ranks in specific countries’ search engines. It is an essential SEM (search engine marketing) tool that I believe every serious blogger and internet marketer should have in their SEO tool arsenal. SEMrush is a product from the maker of SEOQuake, a popular SEO addon for Firefox. more than 800,000,000 keywords in their database. SEMrush will allow you to find all of the keywords for which any existing web page on the internet is ranking. 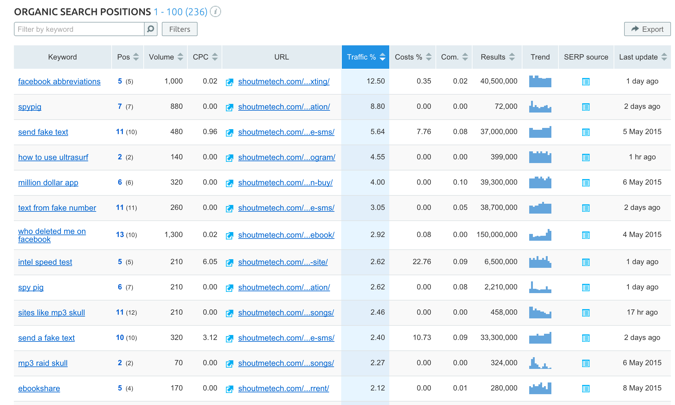 You can also find more statistical details regarding specific keywords and related keywords which you can rank for. Note: You can use it for any site. Serious internet marketers are encouraged to try it with their competitors’ sites. Keyword: The keyword for that specific ranked page. Pos: The keyword’s position in the specified search engine. In this example, I have selected Google’s US database (default), but you can change it to other locations and search engines too. You can also use the Free Keyword Monitor for verification. Trend: This is one column which I find very interesting. In order to find profitable keywords, we need to make sure the traffic trend for that keyword is not dying. This column pulls up the search trend for that keyword over the last 12 months. In addition to all of the information resulting from our search, there are two columns that, as a blogger, interest me the most. 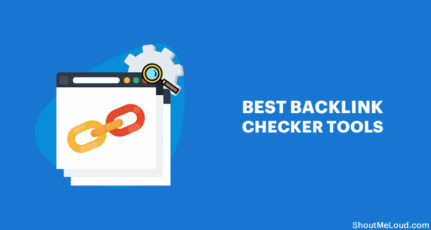 It’s here that you will find the top 200 organic keywords for that domain and also receive a detailed backlink report for any domain along with the link’s anchor text. For me, the most interesting factor here is the ability to find the top keywords driving traffic to any domain. For a serious marketer or company, knowing a top competitor’s keywords is the holy grail. As I mentioned earlier, SEMRush is full of features and to make it easier for you to navigate, below I’m sharing about major features of SEMRush that you should know of. Apart from the Keyword research technique, I shared above, you can always use the conventional way of researching keywords using SEMRush keyword magic tool. You will quickly get metrics like search volume, keyword difficulty, competitive density, SERP features, cost-per-click data. Do try the related feature of Keyword magic tool, which helps you discover keywords that you might have missed otherwise. Once you have selected the keywords you want to work with, you can then move these keywords to Keyword analyzer tool. The automatic grouping and seed keyword feature will help you group the cluster of keywords that you picked in stage 1. Do pay attention to click potential column, as it helps you to understand how many clicks you can expect for your target keyword after ranking for #1. This step saves a lot of overhead as you move ahead with content production. This is another popular feature of SEMRush which is idle for your own sites or if you are an SEO agency, you can run and create a white label report for your clients. For improving the technical SEO of your website, a single site audit could potentially reveal a plethora of SEO changes you could make on the target site to improve the rank significantly. You have the option to run an SEO site audit for desktop or for mobile separately. Every report can be exported in .pdf or excel format for your SEO team to take action on. SEMRush also has a mobile app which will let you view your keyword position from the comfort of your mobile app. This is another feature which I haven’t found in any other SEO suite yet. The app is currently available for Android and iOS version coming out soon. As bloggers, we work day and night to write posts hoping to increase the amount of traffic coming into our blog. But we often don’t focus enough on how we’re generating that traffic. If you check your analytics, you will realize that only a couple of your blog posts are contributing all of the traffic to your blog. But when using the SEMrush SEO tool, you can find keywords which are driving traffic to your competitor’s website and you can write quality content based around those keywords. This will help you get a better position for certain target keywords in your niche. If you want to try it out and see how well it can work for you, they offer a free 14-day trial. SEMRush offers multiple plans for the different use cases, and you could pick the one you would like to get started with. 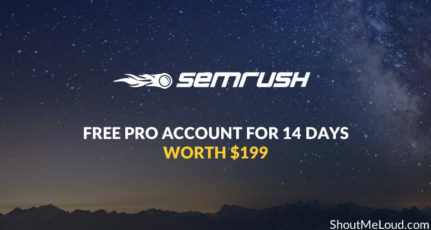 SEMrush works best with the PRO account (as you will get a complete report), but for a beginner who is new to search engine marketing (SEM) research, you can always start with the free trial. Once you are accustomed to its various features, you can upgrade to the PRO account to get a complete, detailed analysis of any website (like yours and your competitor’s). 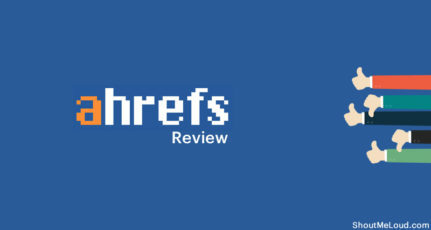 I hope this SEMrush review has helped you to understand the benefit of this awesome search engine marketing tool. Always remember, SEMrush (or any other SEM tool) is useful for research and analysis, but at the end of the day, it’s your hard, smart, and quality work which ultimately puts you at the top. Have you used SEMrush before? How’s your experience been using it to supercharge your website’s SEO? Let us know in the comments! Do you know someone who can benefit from this excellent tool? Share this review with them on Facebook SEO Group, Twitter, or Linkedin! Hi Harsh, I am newbie and don’t know much about SEMrush tool, After reading this detailed article now I understood the advantages of said tool. Thanks for sharing knowledge. Thanks I have been using SEMRUSH as a free trial and I think you convinced me to go ahead and subscribe for a month. Impressive article. You have shared details about SEMRush. I am using this tool. This SEO tool is the richest tool, it has everything that a blogger really need. Especially, this tool offers you competitors analysis feature, it is really helpful for the newbie bloggers to research their competitors. SEMrush is really an excellent keywords research tool, finding a profitable keyword is extremely easy if you have SEMrush. As the owner of a new hiking blog, I understand just how important finding the best keywords to build content around really is. Knowing what keywords the successful sites in my niche are ranking for is absolutely key so that I can also go out and build great content around these search terms. $99 per month seems like a lot of money to me now but finding just a handful of profitable keywords via this program can pay for itself in no time at all.